As a brand strategy achievement, for itself, for big institutions or sports clubs. As a brand strategy achievement, for itself (conventions, seminars, internal sports events), for big institutions or sports clubs. The specialized teams of Quarterback can totally or partially take your event in charge. In the context of the construction of its employer brand, SGDB France meets some difficulties to recruit and win the loyalty of young graduates. To find a solution to this peculiar problem, Point.P France asked Quarterback. Our team came up with a strategy to increase awarness amongst students about the internship and career opportunities they can have in the numerous divisions and subsidiaries of the brand, in France and abroad. The Agency, after an assessment of the target’s needs, recommended an annual event strategy. In several stages, the event is supported and amplified by a strong and entirely dedicated digital accompaniement on social media in adequation with the target: Facebook, Twitter, Instagram and so on. Throughout the year, many meetings are organised, permitting the brand to speak up, offering privileged moments of exchange between students and the brand staff. They can therefore exchange on their experiences in a serious but jovial atmosphere. For the SGDBF Group, Quarterback suggested a reorganisation, restructuration and a dynamic relaunch of the ESC Football French Cup, in collaboration with the BSSA (“Business School Sports Association”). 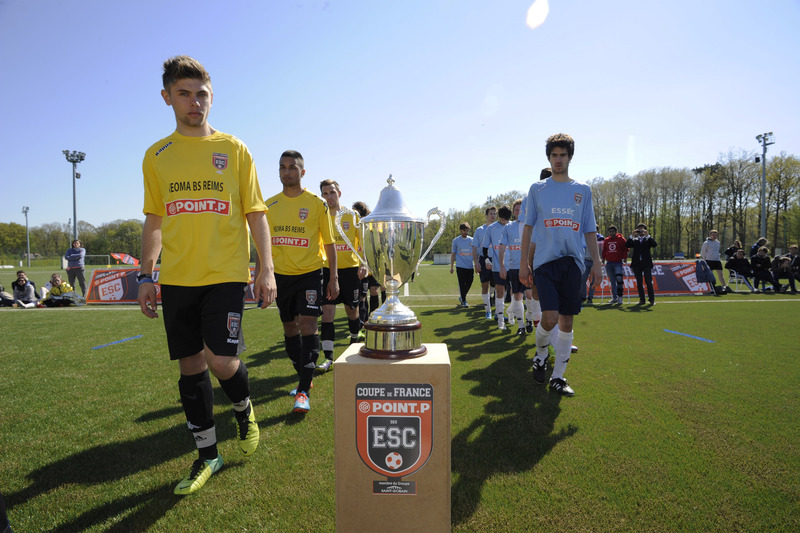 The Superior Business School Football French Cup has become since the past 6 years the ESC POINT.P Football French Cup. The competition is reserved to Business School members of the “Conférence Des Grandes Ecoles” which gathers the 40 best schools of the country (KEDGE Businees School, EM, INSEC, etc.). They all will confront, from November to April of each year, to win the Cup at the end of the season. Quarterback takes care of almost everything: From the global communication, to the recruitment and inscriptions in the Schools, manages the logistic of all the competitions, handles the matches results and prepares the launch party too. The Finals, which take place in Clairefontaine during 3 days in April, are an important moment and are also managed by Quarterback from A to Z. Every year, the Tournament is supported by well-known football celebrities, bringing the brand message to the students: Paul Le Guen, Daniel Bravo, Emmanuel Petit and Franck Leboeuf have successively been the sponsors of the competition. 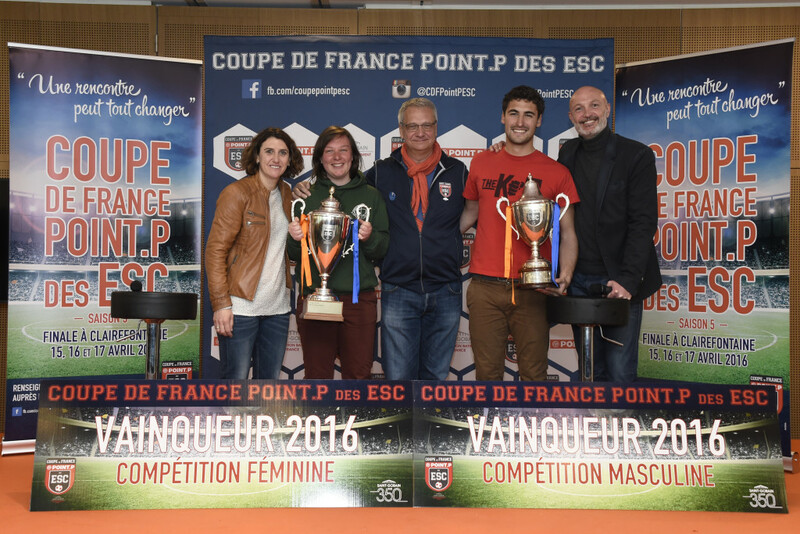 For 4 years now, date of the feminine competition incorporation to the ESC POINT.P French Cup, girls are supported by Marinette Pichon, one the best feminine football player of these past few years. The Danone Nations Cup is the biggest football competition for children from 10 to 12 years old (Category U2) organised every year since 2000 and impulsed by the Danone Group. Every year, 2 and a half million children try to participate to the World Finals, by registering for the local competitions, then the Regionals and the Nationals of the Danone Nations Cup. In the 32 concerned countries, the Danone subsidiaries organise on their soil the different phases of the national tournament, always in collaboration with the National Football Federations and the Sports Ministers. More than 34.000 schools and 11.000 football clubs are involved worldwide. For 10 years, Zinédine Zidane has been sponsoring this tournament, ensuring the game quality and fair play. Surfing on the 1998 World Cup, the Danone group decided to create a football tournament for children. The World Final of the Danone Nations Cup was being held in France until 2009. For the 10th and 11th editions of the competition, the Finals were organised at the Orlando Stadium in Johannesburg, South Africa: Same year and same country as the Football World Cup for professionnals. The Santiago Bernabéu Stadium in Madrid and the Varsovie National Stadium, also welcomed the competition in 2011 and 2012. For its 14th edition, the 32 teams were invited to play on the legendary grass of London Wembley Stadium. In 2014, the Finals took place in Brazil, at the Sao Paulo Corinthians Arena, and in 2015, at the Marrakech National Stadium. Over the years, the Tournament establishes itself as a legitimate event with approved rules by the FIFA. The Danone Nations Cup benefits now from a solid reputation in the professionnal football world. 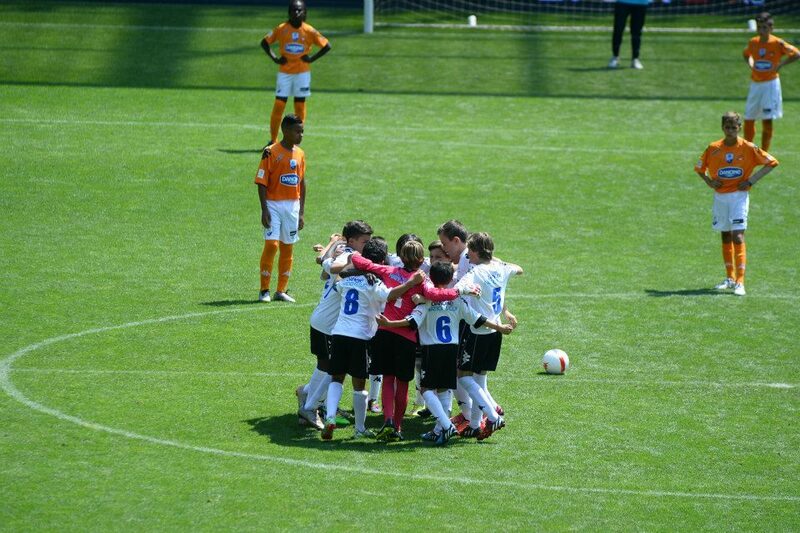 In 2013, the Racing Club U12 of Lens won the French Nationals and represented France at the Wembley Stadium, London. On 7 September 2013, the French team won the Danone Final in Brazil, after a penalty shoot-out session. With this, France wins its third Danone Nations Cup. Quarterback acts as counselling agency at a world level for the dedicated organisation Danone Group, and simultaneously as a delegated productor of the qualification for the French phases of the Danone Nations Cup France. The French phases represent 8 to 10 qualifying sessions, each gathering 60 teams by site and a national final opening doors to the Danone Nations Cup Finals for the winner, to represent France. Quarterback organises the whole competition and its different qualifying stages, in collaboration with the dedicated official institutions (leagues, clubs, the Federation, etc. ), the media coverage, and the promotion (media partnerships, local and national know-how startegy, etc.). Our agency also intervenes as a coordinator for the digital strategy.